Most mobile devices that have been introduced today are running on Android Marshmallow. This version is replacing the older Android versions. There is even a possibility of doing away with the old Android versions in old devices, which can be achieved through upgrades. 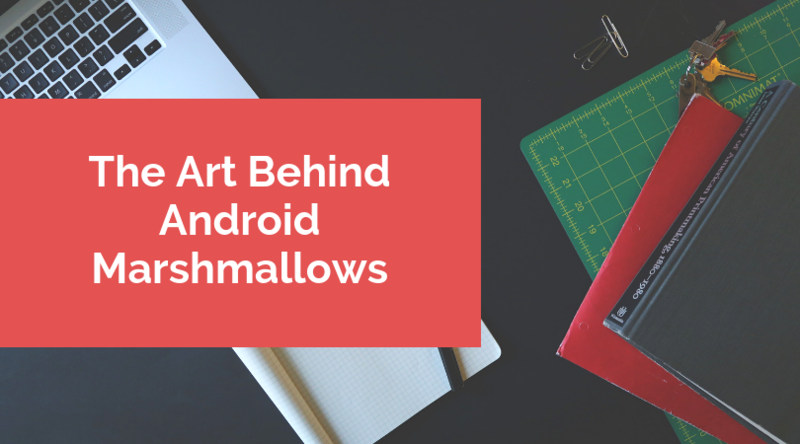 Android Marshmallow is preferred because of its delivery speed when it comes to Android updates. One of the most fascinating features of this Android version is Carl Kleiner’s abstract wallpapers, which can be located on the home screen. One can easily assume that the compositions of the wallpapers are made digitally. However, this is not the case. The wallpapers are made up of carefully designed and crafted photographs. Kleiner used lighting and layering to create these amazing wallpapers, a material design process that puts great emphasis on natural shadows and that provides realistic depth for three-dimensional objects. For the material design, Carl Kleiner was commissioned to create pieces of paper, designing them from different paper types with the help of material design guidelines. The wallpaper designs created for the Android Marshmallow version do not rely on bold color shifts, but instead contain subtle shifts in terms of color and texture. Kleiner says that he wanted to work with materials that have a completely different but sophisticated texture. This is achieved by giving the paper fragments an organic touch when it comes to their graphic composition. The surfaces of the papers are painted with floating ink and color pigment powders. This work of art is now highly valued, alongside the emergence of artists who can give life to pictures. You can visit the ilustra homepage and see for yourself some of the most sophisticated art designs. The color palette of the new wallpapers designed by Klein was limited to the core Google brand colors, but some bits of neutral grey were also used. The mathematical precision used in the previous wallpapers was maintained, but the scale was reduced, making the geometry a bit more complex. Dimensionality and depth were added with the aid of materials like colored water for troughs and grainy powders for pixelation. Creating the images is usually a thoughtful process, as it will enable the users to not only understand the products, but also to know that they are using products that have been carefully crafted to the very last detail. Kleiner embodies the spirit of the new material design system in his wallpapers while also giving them a new dimension of interest by incorporating various artistic disciplines that artfully do away with the boundaries that exist between illustration, design, and photography. The Android operating system has been undergoing major overhauls after Google realized that the delivery speed of its updates had to be improved. With the introduction of Android 5.0 Lollipop, the material design was introduced. With the Android Marshmallow version, various visual effects were used to create wallpapers with bolder colors and surfaces that are textured in such a way to make them appear as if they are in layers. Contrasting colors and textures are employed to give the pictures a bit of realism.